The Fastest Way to get Class Room Bags Today! These bags certified Class 100 and Class 1000 Clean Rooms within a freestanding, rigid, double walled building located inside our main building. We have the capabilities to produce a variety of different shapes, sizes, and applications in materials such as, but not limited to, F-ELO, nylon, and poly (available in a variety of colors). 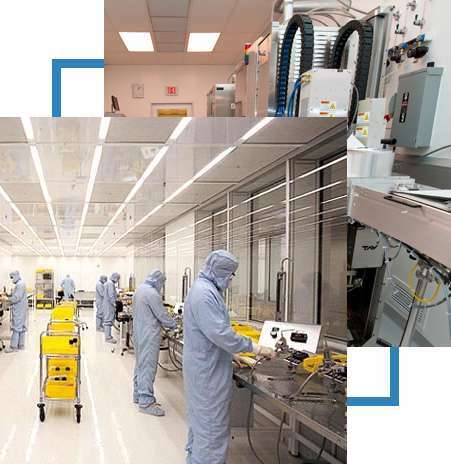 From extrusion to conversion to packaging, our cleanroom standard operating procedures ensure our customers' peace of mind for all quality cleanroom packaging products. Ultra clean polyethylene bags for use in critically clean environments. 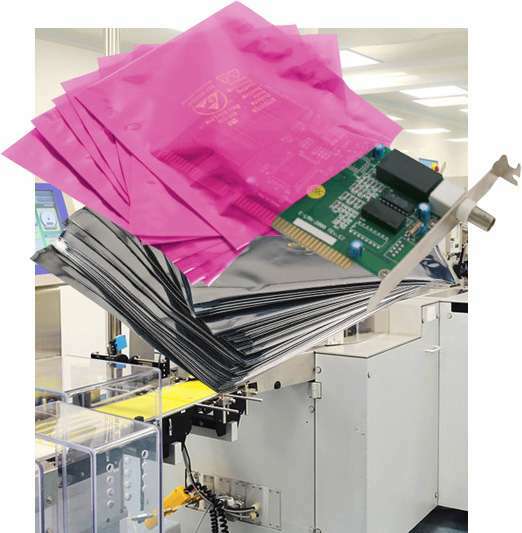 These packaging products are converted on either our impulse sealers or our automated machine. Available as open top in thickness from 2 - 10 mil and sizes from 3" W x 3" L to 47" W to 48" L.
Zip closure top can be manufactured in our clean environment when required. Each shipment sent out with laser particle count validating cleanliness level. 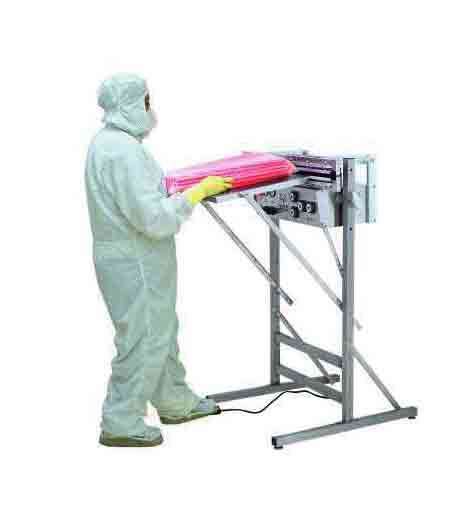 Produced to customer's individual specified cleanliness level (Class 10,000 to Class 100) and/or Federal Standard 209E. Ultra clean static dissipative polyethylene suitable for electronics and/or clean room products requiring clean anti-static film. All the benefits of clear polyethylene (listed above) with static dissipative protection. Available in both pink and clear. Secovac 142 is polycarbonate compatible, humidity independent, non-octanic, and is both non-corrosive and non-contaminating. Meets Electrical Specifications of MIL-B-81705C TYPE II and EIA-541. Ultra clean Metalized static shielding functions as barrier to E.S.D., routing a static charge along the surface of the material instead of through it. Multi-layer construction (polyester / metal / polyethylene) creates a faraday cage effect with E.M.I. and R.F.I. protection. Available as open top in 3.6 mil thickness and sizes from 3" W x 3" L to 47" W to 48" L.